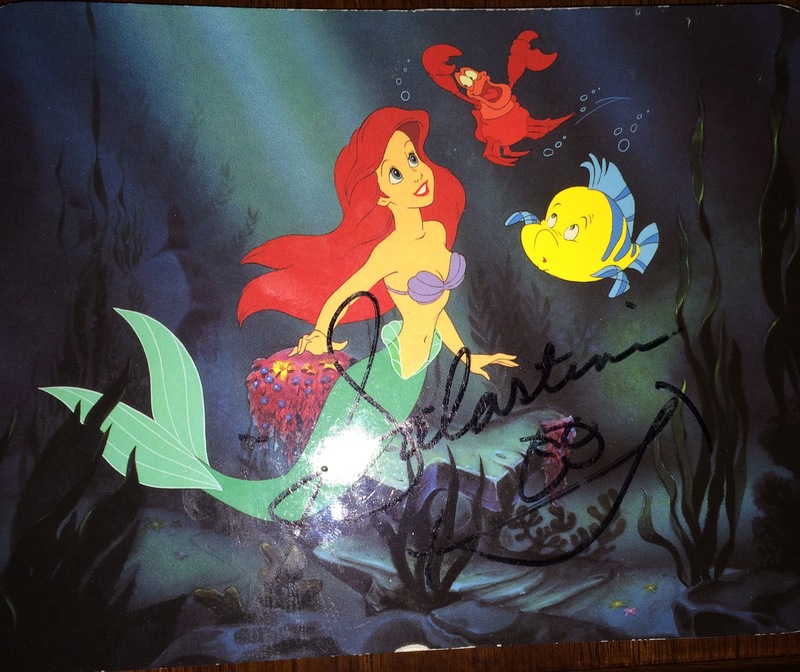 You all loved watching The Little Mermaid and saw the video over and over and over. One Halloween, Jamie asked to be Ariel, so out came my beloved sewing machine so I could make the costume for her. She even had red hair in a can. I remember the three of you and Carly dancing and twirling and belting out the tunes in our living room. Clearly you were all fans. Now let me change the subject to a related one—vacations at the Jersey Shore. For several summers, prior to medical wastes washing up on the beaches (relocating our vacations to the South Carolina beaches), we rented that great beach house on Long Beach Island owned by Mona from Verona. I am not certain of the exact time, but at least one year was 1995, because I distinctly recall the O.J. Simpson trial being broadcast. Most of our days were spent lounging on the beach, burying each other in the sand and swimming in the ocean. 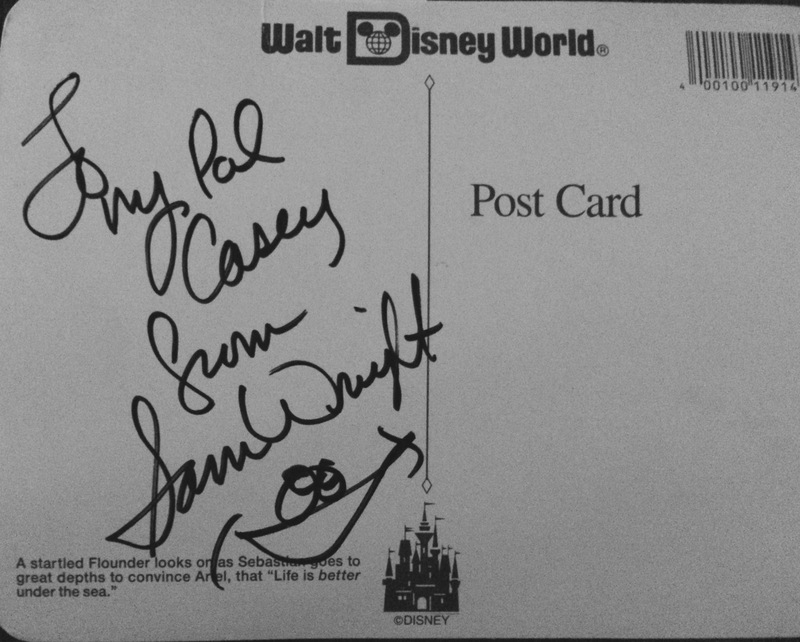 It turned out the man was Sam Wright, who was the voice of Sebastian the crab in The Little Mermaid movie (Incidentally, girls, Mr. Wright was born in nearby Camden, South Carolina). He very graciously gave each child a personalized autographed picture of himself. Maybe that was the beginning of Jamie’s hobby of meeting celebrities.